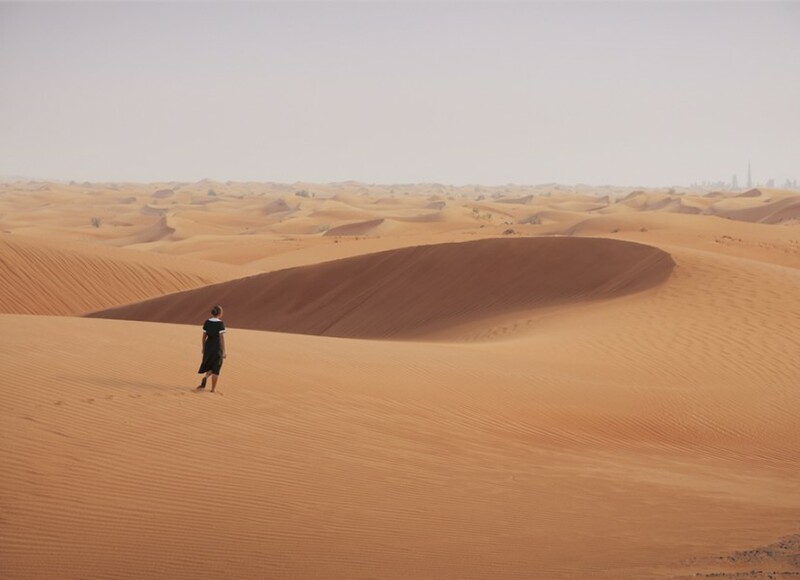 Isaac Julien, HORIZON / ELSEWHERE (Playtime), 2013, Endura Ultra photograph, 160 x 240 cm, Victoria Miro Wharf Road, 2014. Courtesy the Artist, Victoria Miro, London and Metro Pictures, New York. © the artist. Isaac Julien, EMERALD CITY / CAPITAL (Playtime), 2013, Endura Ultra photograph, 160 x 240 cm, Victoria Miro Wharf Road, 2014. Courtesy the Artist, Victoria Miro, London and Metro Pictures, New York. © the artist. Rather than a ‘last chance to see’, this week’s commercial gallery tip is a ‘be among the first to see’, because everyone is going to be talking about this show. The cavernous upper space at Victoria Miro’s Wharf Road gallery has seen a number of shows that were more events than exhibitions. I am thinking, for example, of Chris Ofili and David Adjaye’s The Upper Room, which prompted Ofili’s selection to represent Britain in Venice in 2003. The serious art world starriness of the crowd at last night’s opening signalled another very major work was having its debut there. PLAYTIME is a seven screen, ultra high definition video installation with a duration of almost 70 minutes. With separate segments shot in London, Dubai and Rekyavik its subject is the global flow of capital post 2008. If that sounds dry, then the experience of following the successive narratives that unwind across the interconnecting segments is emphatically not. Visually breathtaking for the sheer scale of the screens, let alone the dramatic cinematography, the work keeps the audience active, directing you from one screen to another, seeking more detail. The last two segments of the film focus on the international art market, and Simon de Pury gives an admirable how-to guide for the would-be auctioneer – complete with recommendations to eat an apple one hour before an auction, for good luck. Plan to stay the full 70 minutes, settle in and admire the work of a master. 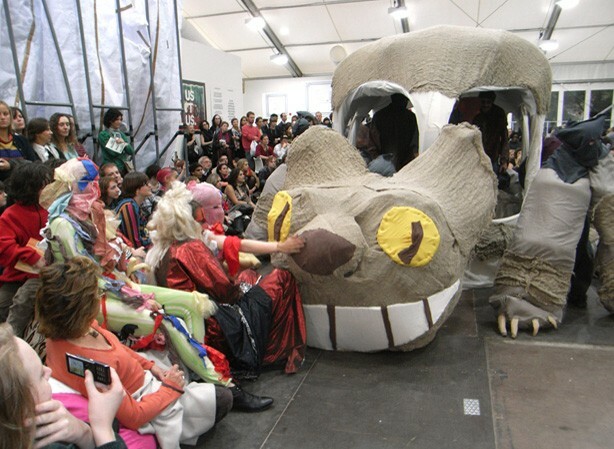 Although she was nominated for the Turner Prize in 2012 – when she was still known as Spartacus Chetwynd – this is the artist’s first major solo exhibition in a British public gallery. A true original, with a distinct and glorious aesthetic and multiple points of reference both political and literary, Chetwynd needs to be experienced through her live performance works to be properly understood. Get yourselves to Nottingham (in under two hours with very frequent trains from London St Pancras) to experience her Brain Bug Performances on Saturdays 1 & 15 February, and 1 & 15 March. Always at 2pm, always free, and on a drop in basis. Again this is an institution of architectural as well as curatorial note, having been designed by Caruso St John and completed in 2008. It has a golden exterior with decorative panels that directly reference the lace making tradition in Nottingham and cleverly exploits an unusual site just 10 minutes walk from the train station.